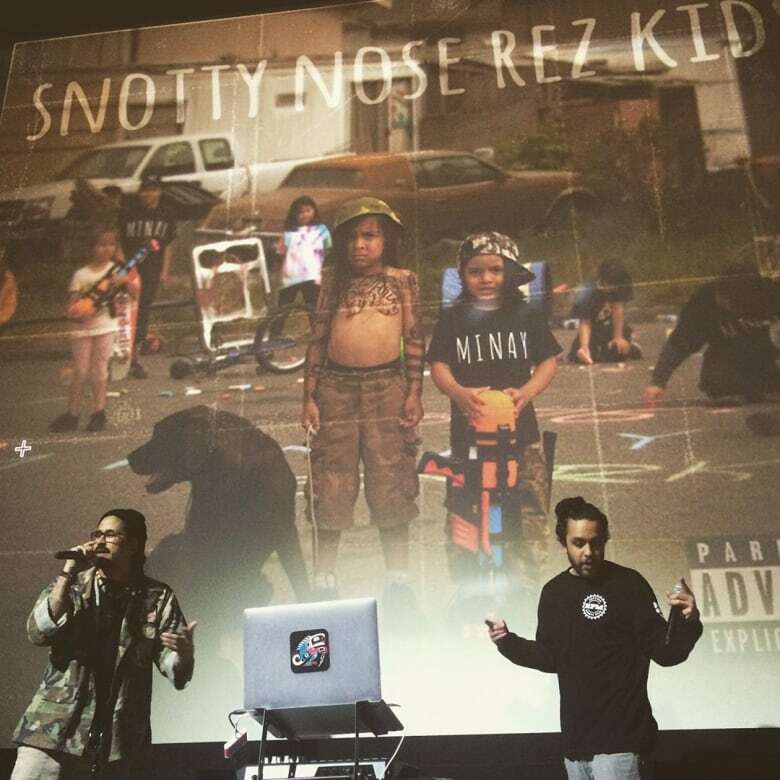 In the past year, Haisla hip-hop duo Snotty Nose Rez Kids released two albums, played clubs across Canada and found themselves in rotation on several radio stations including CBC Music, which named their track "Skoden" one of the best Canadian songs of 2017. All of that feels a little surreal to Darren "Young D" Metz and Quinton "Yung Trybez" Nyce given that they didn't even decide to pursue musical careers until last year. "Just before 2017 we were like, 'Yo, let's do an album and call ourselves the Snotty Nose Rez Kids,'" Nyce said of the band's creation. 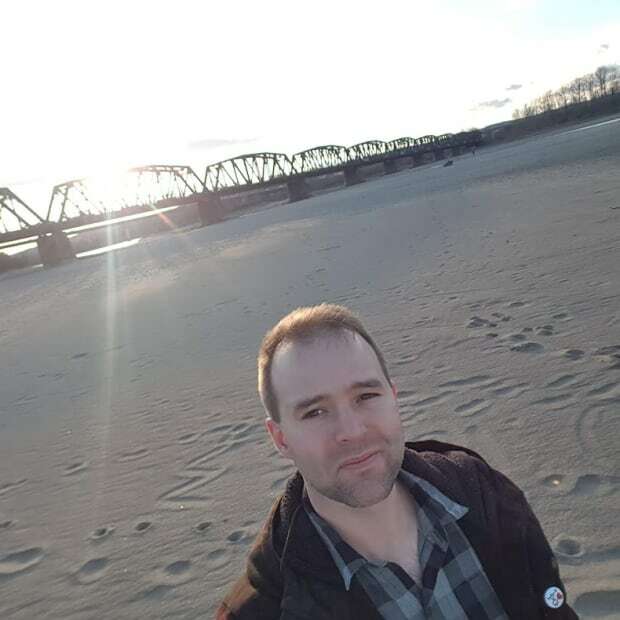 Now based in Vancouver, both Metz, 25, and Nyce, 28, grew up in Kitamaat Village, a Haisla First Nation reserve in northwest B.C. Nyce explained the band's music comes directly from their experiences growing up. "We wanted to make music for our area, for people to relate to out here," Nyce said. "And it's funny, because we always did call our friends snotty nose rez kids." Though they've heard of kids being sent home from school for wearing a T-shirt with their band's name on it and had a (now former) manager who insisted they change it to something more palatable, the Rez Kids say it's important to embrace negative language that has been directed toward Indigenous people in Canada and claim it as a point of pride. "When we interact with these slurs, we are confronting them, deconstructing them and regurgitating them to create our own impressions that exemplify us as the strong, creative, and intelligent Savages we know ourselves to be," they wrote in liner notes to their album, The Average Savage. 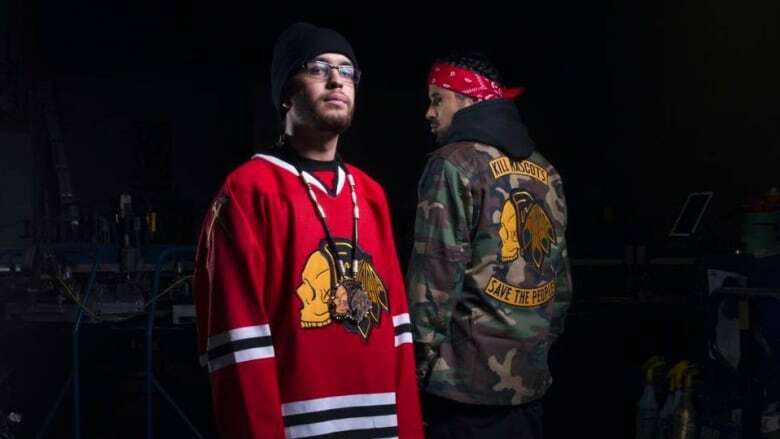 Stereotypes are also confronted in the music, as the duo frequently samples clips from old documentaries and cartoons portraying Indigenous people across North America as "savages." Those clips, Nyce said, are taken from when he was in his youth. "Red skins, savages, Indians, kill the Indians! That was such a big part of my life growing up," he said, adding he also heard the slurs directed at him by non-Indigenous children. "This.... has been drilled into these kids' minds since they were, like, infants." The pair hopes that by injecting themselves into popular culture, they can help create a new narrative for Indigenous people in Canada. "It's a way to give a rant but in the form of music. And that way people actually sit there and listen as opposed to being there in person and arguing," Metz said. "Definitely music can help out. That's my favourite way to address whatever's on my mind." The message seems to be connecting. Although written from a firmly West Coast perspective with references to local landmarks and politics, Snotty Nose Rez Kids have won over fans across Canada and even around the world. "We've had people from New Mexico, Denver, all over the States, buying our album and it's kind of weird to see because we're just a couple of kids from Kitamaat Village reservation who never thought this was possible," Nyce said. He hopes to be a positive role model for the next generation of Indigenous youth. "It doesn't matter what anybody says to them, they can do anything they want… that's what's most important to me," he said. As for 2018, the Snotty Nose Rez Kids will release another album with fellow northwest B.C. rappers Mob Bounce under the name "Devil's Club" in the first part of the year. "We're looking to expand as much as we can while still being ourselves," Metz said.